By Jen Hurler | 10/01/2018 4:39 pm | Be the First to Comment! 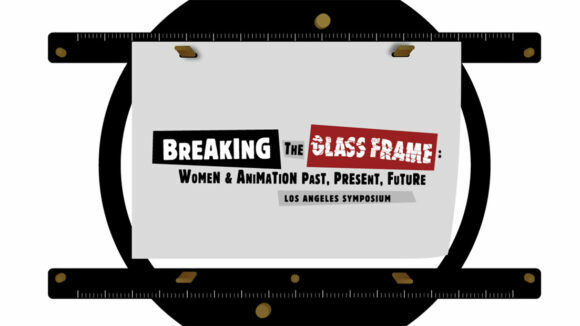 Breaking the Glass Frame: Women and Animation, Past, Present, Future, a symposium being held October 5 through 7 at University of Southern California in downtown Los Angeles, promises to be a timely and unique combination of programming for industry professionals, academics, and students alike. Women in Animation also came on board to support the event, and Roe, who initially suggested the idea, joined as the curator of the academic papers and host of the academic conference. The twelve papers being presented cover topics of global animation, and the state of the industry and medium, both historical and looking ahead. The recently released list of abstracts and author bios can be found on the Breaking the Glass Frame’s website. 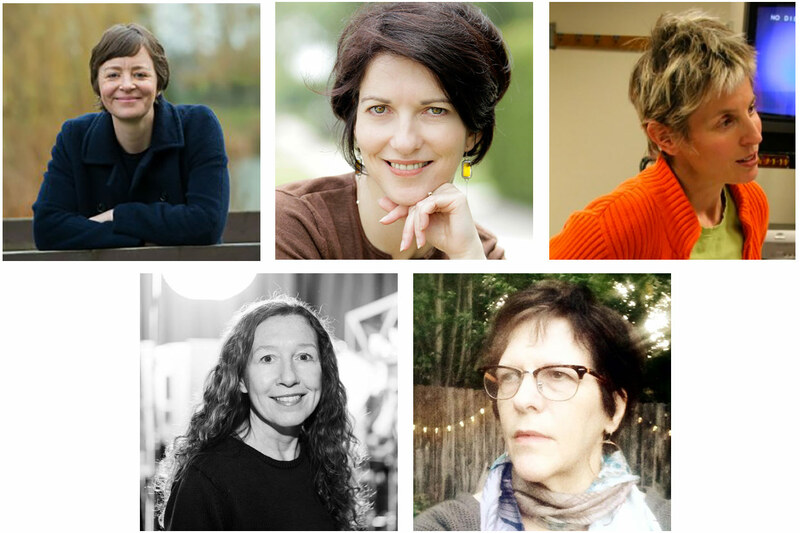 Breaking the Frame organizers: (top row) Bella Honess Roe, Sheila Sofian, Lisa Mann; (bottom row) Maureen Furniss, Celia Mercer. The event will feature keynotes by “Brave” director and writer Brenda Chapman (left) and Brown Johnson, executive vp and creative director of Sesame Workshop. Because of that desire for representing many, the panels are on the slightly larger side, with most having around six speakers. With that larger panel size, there will be more perspectives, from different tiers and different circumstances, where strategies and actionable steps can be compared and shared. Sofian and Mann also talked about how their involvement in organizing this event and working with colleagues from other schools has helped them as educators, such as learning that UCLA has an academic policy to ensure that diversity is demonstrated on syllabi, and that the school ensures conversations take place in classes such as figure drawing and character design regarding the overt sexualization of feminine characters. The two USC professors, who have over forty combined years of experience in the animation industry and teaching, have not been strangers to addressing these often uncomfortable but necessary topics. Sofian, whose specialty is in documentary animation, has always broached tough topics with her films, most notably Survivors, which is about domestic violence. Mann’s work, notably the installation Cat Calls, also tackled sexual harassment, and she made her MFA film about domestic violence. Two of the Breaking the Frame’s special guests will be Enid Denbo Wizig and Jane Shattuck-Takamoto-Baer, who worked as animators in the mid-1940s and ’50s at Warner Bros. and Disney. Glancing at the schedule, you see sensitive topics – topics that one wishes didn’t exist. But the issues they address do exist, and this symposium strives to be a force that helps dismantle them. It’s a chance for professionals, educators, students, and historians to reflect and take stock of the current state of things. But it will also be a celebration of successes had thus far. A panel that is sure to invigorate attendees is Mindy Johnson’s “An Invisible History – Trailblazing Women of Animation,” which features guests who began their careers in the 1940s and ’50s. Women are still trailblazing today, and if it were up to Sofian and Mann, everyone who attends Breaking the Glass Frame will leave armed with knowledge and renewed passion for this medium, and women’s achievements in it, in order to help propel everyone forward. The conference is sold out on Saturday, but tickets are still available for Sunday, October 7. For more details, visit BreakingTheGlassFrame.com. Jen Hurler is working towards her MFA in Computer Animation at the School of Visual Arts in NYC. 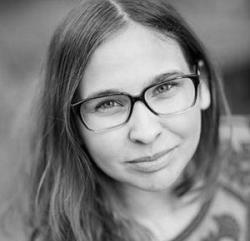 She worked as a production assistant at Blue Sky Studios for the last four years. You can follow her personal Twitter or blog.